Gelatin Belt Dryer: Gelatin is used in the most diverse sectors (food, pharmaceutical, cosmetic, etc.). The principal raw materials used in gelatin production are cattle bones, cattle hides, fish skin, and pork skins. Drying: The gelatin solution is chilled and either cut into ribbons or extruded as noodles, and the gelled material is deposited as a bed onto an endless, open weave or perforated stainless steel belt. The belt is passed through a drying chamber, which is divided into zones in each of which the temperature and humidity of the drying air is accurately controlled. Typical temperatures range from about 32° C in the initial zone up to about 60-70° C in the final zone. 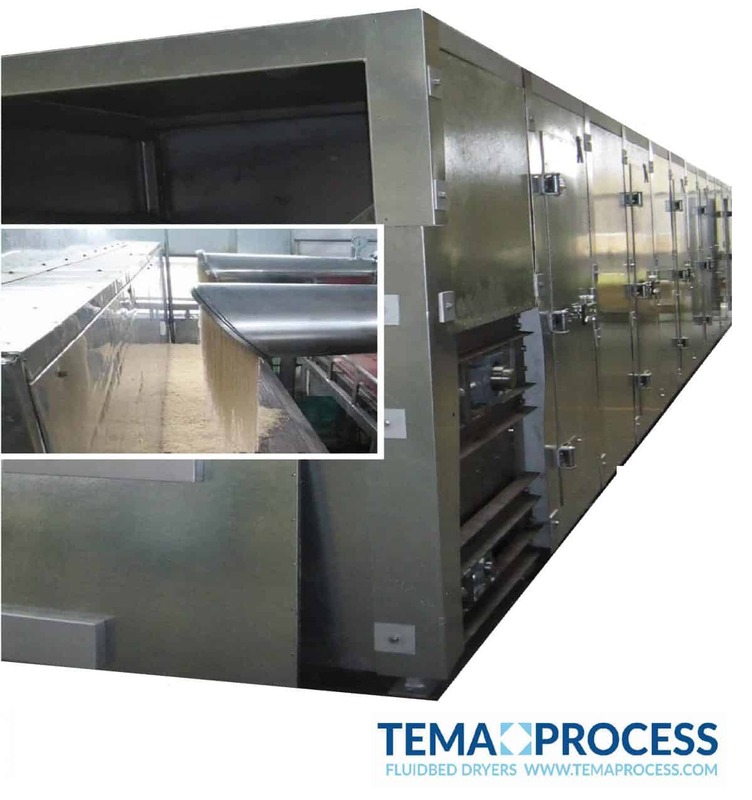 The air is usually conditioned by filtration, dehumidification and tempering. Drying involves progressive increases in air temperature, often with exhaustion of moist air and replenishment with conditioned air. Drying time is 1-5 hours, depending on the quality and concentration of the material and the exact conditions employed. The rate of drying is carefully controlled to avoid melting and case hardening. The gelatin leaves the dryer with a moisture content of approximately 10-12%. The dried bed is then broken into pieces that are ground to the required particle size.